Sorry, UFO Hunters: Area 51 Just Banned Hobby Drones. There's some bad news for anyone trying to use their drone to find out what the U.S. government is up to at Area 51. Unmanned aerial vehicles are now banned from flying near the facility. That's according to a new batch of warning signs posted around the U.S. Air Force base in Nevada. 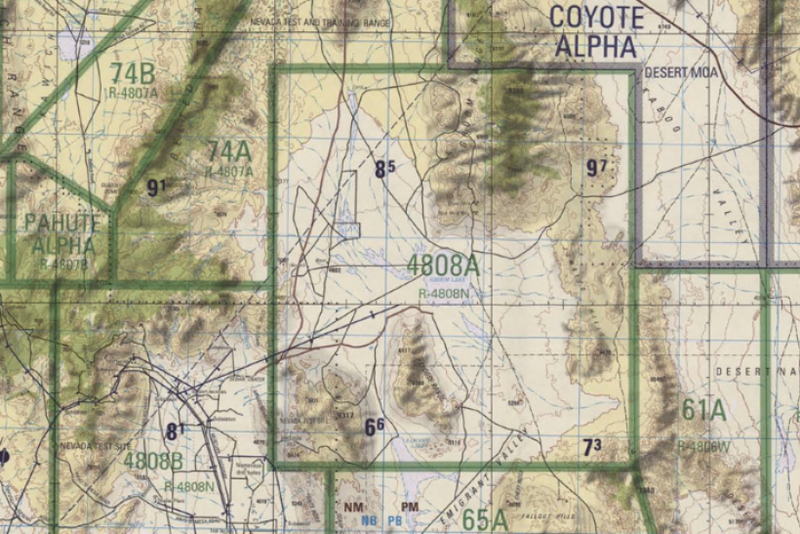 The exact purpose of Area 51 remains classified, though it's believed to be the military's primary development and testing facilities for aircraft and new weapons. The landscape surrounding Area 51 is patrolled by trucks and is dotted with stern signs warning visitors they're subject to search and possible arrest if they cross a boundary. The new signs were first reported in an article Sunday on the military blog Foxtrot Alpha. The new drone policy shouldn't come as a surprise. Not only has Area 51 remained one of the U.S. military's most closely guarded secrets for decades, security teams also patrol the restricted air space with low-flying HH 60G Pave Hawk helicopters. A collision with even a small drone could be enough tto cause one of those helicopters to crash. The Federal Aviation Administration has also sought to reduce unsafe and illegal drone activity by asking all pilots flying a drone that weighs more than .55 pounds to register with the government. That way, the FAA says, officials will know who's responsible when a drone flies too close to an airport, interrupting normal flights operations. More than 250,000 people have signed up their UAV in the first 30 days since registration began, the FAA reported.